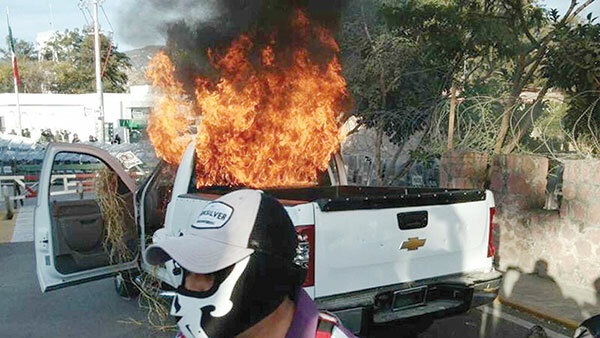 On Thursday, February 19th, a prisoner exchange ended a confrontation between police and students and teachers in the zócalo in Chilpancingo, Guerrero, which began with an attack on Femsa Coca-Cola company offices. Two company executives were captured at 6:30pm on Thursday, February 19th and held hostage after police arrested three students for looting a Coca-Cola truck. A confrontation ensued in the city center, where students threw rocks and firecrackers at riot police, who responded with tear gas. Ten people were reported hurt — four police officers, four teachers and two reporters. Members of the Ceteg teachers’ union and students from teacher training colleges launched the attack on the Coca-Cola offices, using Molotov cocktails. Earlier, Femsa had filed a complaint against students and teachers who have been repeatedly looting their delivery trucks. On Friday February 20th, around two o’clock in the morning, police released the students they had arrested, and protesters freed the two Coca-Cola personnel. 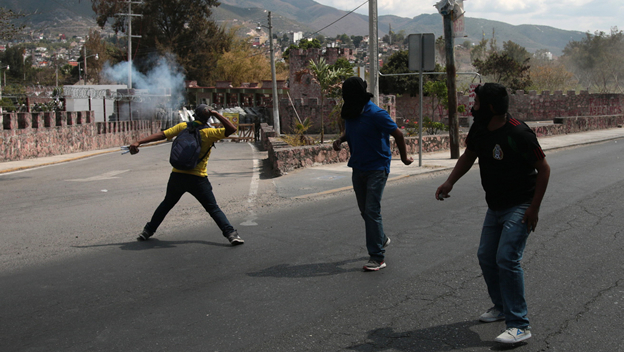 Also on Friday February 20th, students from the Ayotzinapa Teacher College attacked a military base in Chilpancingo by throwing firecrackers and rocks. They launched their attack at 12:30pm after arriving at the base aboard four buses. Soldiers threw the rocks back at the students in a confrontation that lasted about 10 minutes. There were no injuries reported. Those involved in the protests are believed to be acting on behalf of the missing Ayotzinapa students, believed to have been killed on September 26. The protesters have accused the military of being involved in the disappearance of the 43 students.